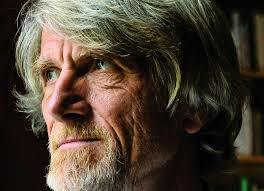 Philippe Van Parijs is a professor at the University of Louvain (Hoover Chair of Economic and Social Ethics), a special guest professor at the University of Leuven and an associate member of Nuffield College, Oxford. He is one of the founders of the Basic Income Earth Network and chairs its International Board. His books include Real Freedom for All. What (if anything) Can Justify Capitalism? (Oxford UP, 1995), What's Wrong with a Free Lunch? (Beacon Press, 2001), Just Democracy. The Rawls-Machiavelli Programme (ECPR, 2011), Linguistic Justice for Europe and for the World (Oxford UP, 2011) and Basic Income. A radical proposal for a free society and a sane economy (Harvard UP, forthcoming 2017, with Y. Vanderborght).